Released on: August 22nd, 2016. 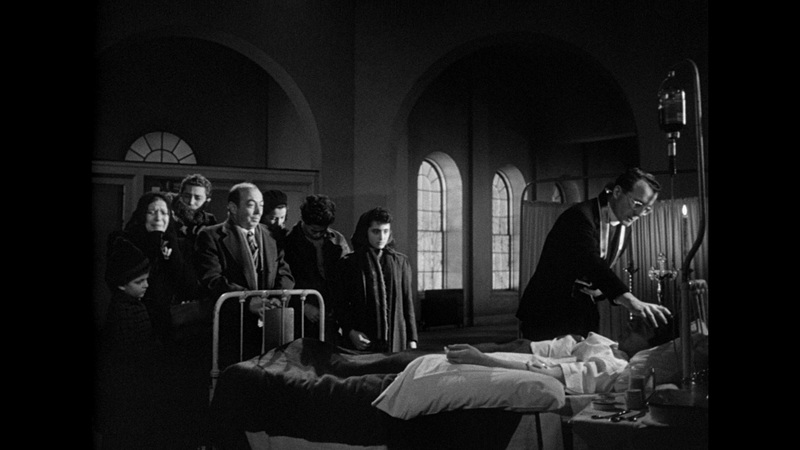 Based on the novel of the same name by Henry Edward Helseth, Robert Siodmak’s 1948 film Cry Of The City open with a strange scene in which two cops, Lieutenants Candella (Victor Mature) and Collins (Fred Clark), stand quietly in a prison hospital room where Martin Rome (Richard Conte), a convict cop killer, receives last rites from a kindly priest. But of course, Rome gets better, slowly but surely. Rome and Candella have a past, they grew up together, but clearly took different paths in life as they got older. As he does, we learn how Rome is such a magnet for trouble. 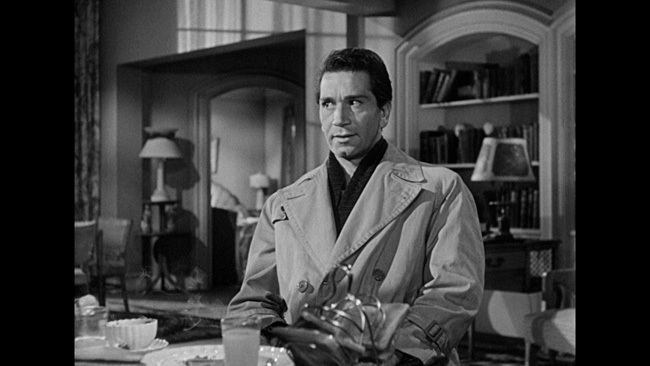 His girlfriend, Teena (Debra Paget), shows up for a visit before ducking out and hiding away. Then his shifty lawyer, Niles (Barry Kroeger), arrives for a talk. He tries to pay Rome into taking the fall for another client of his currently being accused of jewel theft and murder and about to head to the electric chair for his crimes. Rome isn’t having it, at which point Niles tells him if he doesn’t, he’ll convince the cops that Teena was in on it. Not wanting his girlfriend to fall into this trap, Rome breaks out of prison and heads out to Niles office to take the rap for his client, secretly planning to grab Teena and get out of town before it actually happens. When he arrives, Niles goes back on his word, Rome gets angry and the lawyer winds up dead. Rome’s no fool, however – he figures out who the client’s real accomplice is that Niles was trying to protect and also finds the stolen jewels hidden away in his safe. From there, he tracks this person down, Rose Given (Hope Emerson), and hopes to trade her the jewels for safe passage out of the country with Teena, but of course, this is far more complicated than any of these players realize. Tightly directed by Siodmak, this is a tense thriller with some great characters and a slick sense of style. Shot primarily on location in New York City, the urban setting backdrop works well and offers cinematographer Lloyd Ahern Sr. plenty of opportunity to use shadow and light in beautiful ways. The opening scene in the prison hospital has a natural ambience to it as well, and it makes for an interesting way to get the audience’s attention as soon as the movie starts. A jazzy score from Alfred Newman doesn’t hurt things either – the production values present in the film are top notch. What really helps make this one as much fun as it is, however, is the cast. 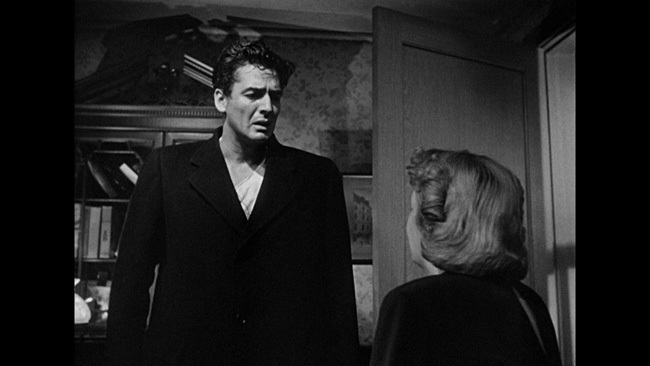 Victor Mature is perfect as the cop in charge of the investigation. He’s noble but not superhuman, flawed like the rest of us though clearly determined to see justice served. His performance contrasts nicely with the superbly cool Richard Conte. 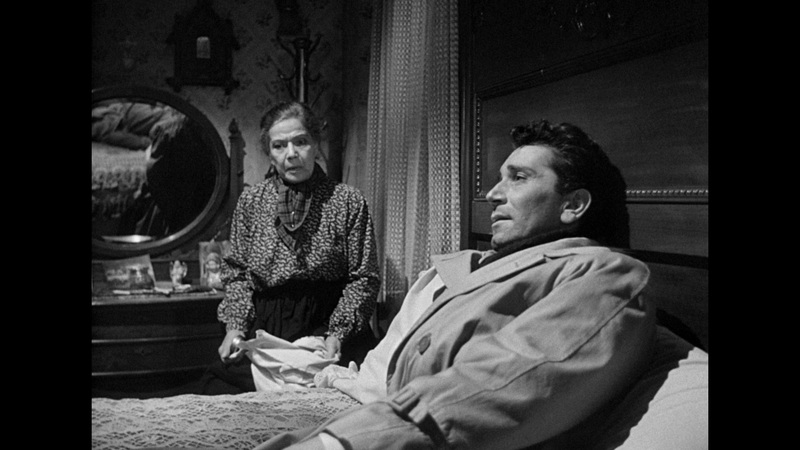 As Martin Rome, Conte’s give the chance to play a man as suave as he is deadly and he does it perfectly. His character is as smooth as he is dangerous. Supporting work from the beautiful Debra Paget is quite good, and Fred Clark as Mature’s partner in crime-fighting also really solid. 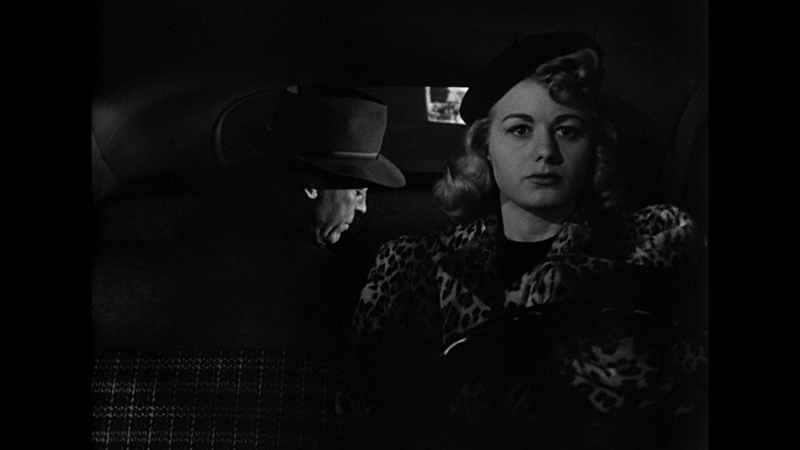 Barry Kroeger is delightfully sleazy as Rome’s oh so crooked lawyer, and hey, look for a young Shelly Winters in a decent supporting role, cast here as Brenda Martingale, one of Martin’s girlfriends. 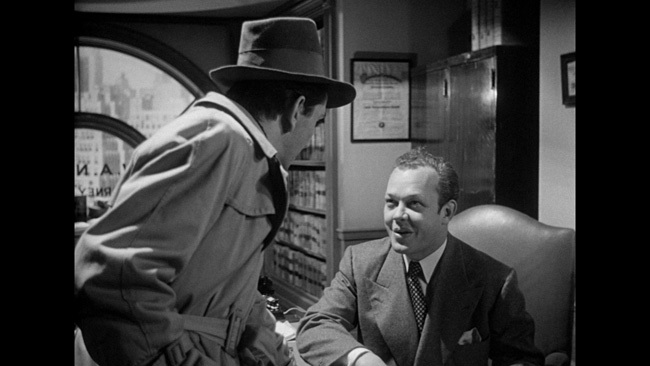 Cry Of The City is presented on a 50GB Blu-ray disc in its original 1.37.1 fullframe aspect ratio in an AVC encoded 1080p black and white presentation. Although some minor print damage shows up here and there, the good by far outweighs the bad by a pretty massive margin. Detail is generally very good and while there is some occasional contrast blooming, overall the quality of the black and white image is nice and strong. There are no issues with compression artifacts or edge enhancement nor does there appear to have been an abundance of digital noise reduction applied here. This is nice and film-like, it feels very true to source and it’s also quite clean, showing only occasional white specks rather than any substantial print damage. The LPCM Mono track, in English with optional English subtitles, is fine for the most part. 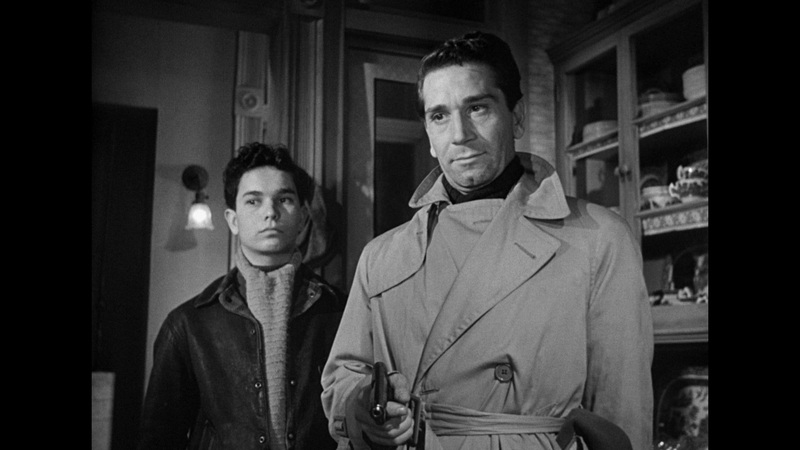 Every once in a while you might note some slight sibilance but overall the dialogue is plenty easy to follow and the film’s score sounds great. The optional subtitles are easy to read and free of typos. The extras on the disc are quite good, beginning with an audio commentary from Adrian Martin that does a fine job of detailing the history of the picture. 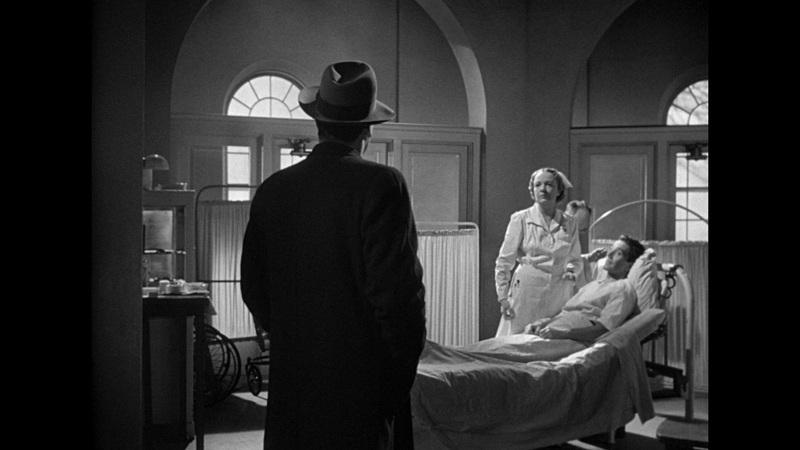 Martin spends some time putting much of what we see into context, talking about the backgrounds of the different actors and making some interesting observation about Siodmak’s directing style. He also makes some notes about the story itself, the studio’s involvement in the film and quite a bit more. This is very thorough and quite interesting to listen to. 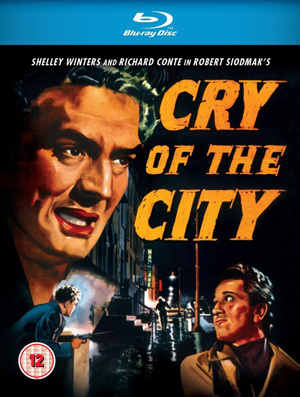 The BFI have also supplied a twenty-six minute long featurette entitled Adrian Wootton On Cry Of The City. This is a ‘a newly filmed appreciation by the critic and chief executive of Film London’ and in it, Wootton does a fine job of giving viewers his take on what makes this one work as well as it does. Outside of that we get a trailer for the feature, menus and chapter selection. Finished product will include a booklet of liner notes featuring an essay from Frank Krutnik along with full film credits and a selection of archival stills and images. Cry Of The City is as tense as it is slick and stylish. Conte and Mature are great as the two leads while the supporting players all deliver fine work as well. The movie offers up plenty of suspense and some great performances. 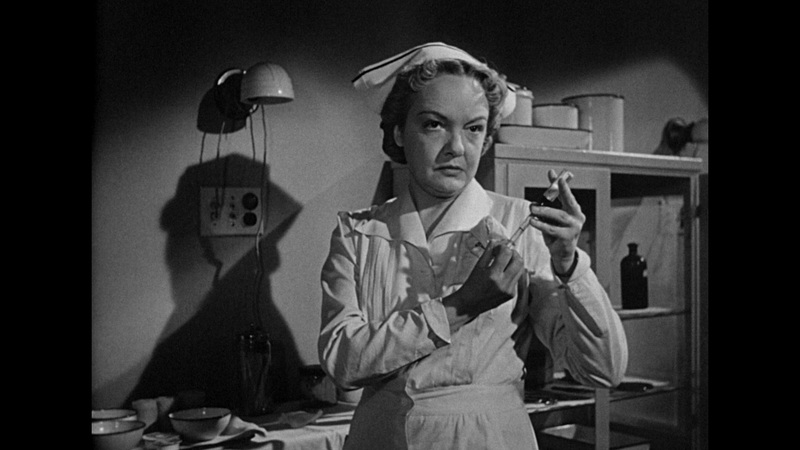 The BFI’s Blu-ray release looks excellent and contains some nice supplemental material as well. 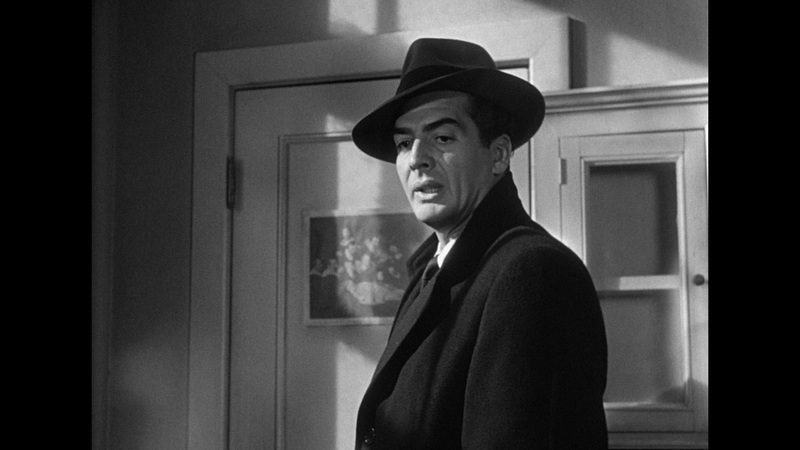 All in all, a very fine package for Film Noir buffs!